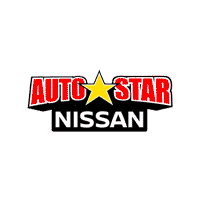 Serving customers from Charlotte, Winston-Salem, Hickory, West Jefferson, Blowing Rock, Wilkesboro, Johnson City, Lenoir, Boone and all of the surrounding areas, AutoStar Nissan of Boone is your go-to for the best used cars. Our dealership prides itself not simply on its new inventory—it carries itself on offering an unparallel experience across the board. When it comes to finding a quality certified pre-owned vehicle, AutoStar Nissan of Boone stand as your local expert. There’s no one who understands that not everyone is able to afford a brand new vehicle more than AutoStar Nissan of Boone. Our Boone NC used car inventory includes vehicles of all makes, models, shapes, sizes and colors, allowing our customers to search for and find the one that is best suited to meet all their unique transportation needs. Maybe a Nissan isn’t your cup of tea and you’d rather seek out a 2016 Jeep Patriot for your next off-road adventure. Are you looking for something to fit your growing family? A 2016 Mazda CX-5’s spacious interior and state of the art safety features could be your perfect car. What about a car that drives incredibly well and makes you look great while sitting in the driver’s seat? A 2015 Chevrolet Camaro LS is waiting for you. Only vehicles that can meet our extremely high standards are able to qualify for Nissan Certified Pre-Owned status. Any used vehicle among our inventory must be less than six years old from the original in-service date and have less than 80,000 miles on the odometer. Furthermore, every vehicle must possess a clean, non-branded title and, most importantly, pass our comprehensive 167 point Certified Pre-Owned inspection. If you’ve ever shopped for a used vehicle, you probably looked the vehicle you were considering over thoroughly but still feel as though you missed something. With a Certified Pre-Owned vehicle from AutoStar Nissan of Boone, you don’t have to wonder. Our Certified Pre-Owned vehicles are all inspected by a Nissan-trained technician in our service department to ensure absolute quality assurance. Using state-of-the-art equipment and a discerning eye, each Pre-Owned Nissan gets an obsessively detailed inspection prior to earning the coveted Certified status. Are you wondering about the financial side of our dealership? Well, we have some good news for you. AutoStar Nissan of Bone employs the most experienced and knowledgeable finance experts you’ll find anywhere in North Carolina, and they’ll work hard to get you approved for the used or Nissan Certified Pre-Owned vehicle that you’re seeking. Our Credit Assistance Programs are available to all our customers regardless what their credit history happens to look like. These programs were designed to aid even the most credit-challenged individuals obtain a used or Nissan Certified Pre-Owned vehicle they’re looking to purchase. At AutoStar Nissan of Boone, we don’t believe bad credit should disqualify you from obtaining a high-quality used vehicle that can meet every one of your specific wants and needs. So, how’s all this sound? Excited? Interested? In that case, visit or contact AutoStar Nissan of Boone today! We can’t wait to hear from you!